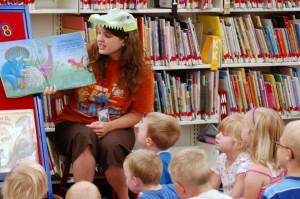 Storytimes, and Block Parties, and KidZones, oh my! We have free activities, events, and programs for all ages. Check the calendar for complete details on program offerings. If you’re looking for your next great read, we’d love to help you find it! Ask a staff member for a recommendation, give NoveList K-8 Plus a try, or browse our online booklists. From books you may have heard about on TV to author or series read-alikes, we have a list for you! No time to pick out picture books? Try a Discovery Pack! Discovery Packs are clear backpacks with 5 or 6 great picture books on a different theme for you and your child to enjoy. There is also an Activity Sheet included with fingerplays, rhymes, and songs that you may keep and use over and over again! Pick one up in the Youth area of the Library today. Check out these online games and activities! When you’re in the Library, visit the computers in the Youth area for more games. Need some help with homework? Give these electronic resources a try. NoveList K-8 Plus can help you find just the right book by subject, age, awards won, books made into movies, and much more. Read reviews and learn about the author. Create your own reading wish list. Includes tools for teachers such as Lexile levels and Common Core standards. 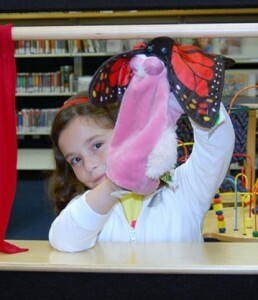 While you’re visiting the Library, make sure to check out our puppet theater, donated by the Friends of the Flat River Community Library, and puppets collection. Want to continue the fun? Puppets can be checked out and taken home!